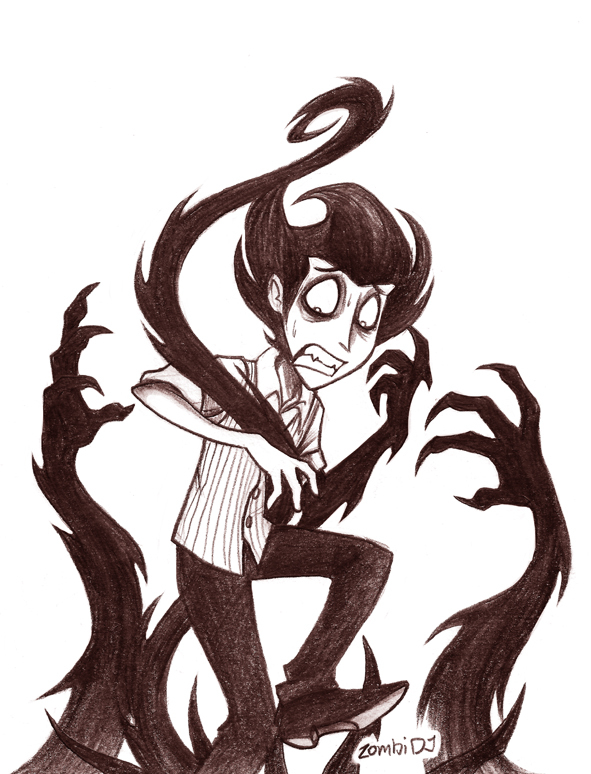 Don't Starve belongs to Klei Entertaiment/ Image belongs to ZombiDJ, look him up on deviantart, for his art is awesome! When I was only a little girl, my father told me a story about a pair of brothers that fought alongside their friends to protect another world like ours. One was known as The Rune Slayer and the other was known as The Infinity Sword. During a long and excruciating battle against a monster called "The Diabolic Esper", The Rune Slayer sacrificed himself to protect his brother and give him a fighting chance. Of course, I was only four years old when I was told this. But the story remained locked in my brain as I got older. Those two brothers were my childhood heroes and inspired me to imagine and believe. My name is Faith Nocte and I'm twelve years old. One night, at the end of November, I wished for a way to find something that could help make my father happy again just in time for christmas. But, as it turns out, what I'm looking for is in a world I once thought was fictional. While I'm there, I discover something that I never knew about my family. Many things I never knew about my family. Credits to everything shown. I do not own MLP or Elsword. Hit popular stories list on date of release. You guys rock! 9/20/2015: Featured!?! Oh my god, you guys are awesome!! 6/28/2015: Featured again!?!! Holy crap, you guys are the best! !